Tricky Delights with Pumpkins & Frights! All hail, National Pumpkin Month is here! And king pumpkin is taking over porches, stoops, and any patch that needs a touch of orange. Ghoulish, haunting faces illuminated by candlelight are a sure sign of the season. But the practice of decorating jack-o-lanterns comes from the Irish folktale of Stingy Jack, where turnips and potatoes were used as the original design material. One story claims that Stingy Jack invited the Devil to have a drink with him, but true to name, he didn’t want to pay for his drink. He managed to convince the arbiter of evil to transform into a coin that Jack would use to buy their drinks. When the Devil took him up on this ploy, Jack kept the coin, keeping it in his pocket next to a silver cross, which prevented the Devil from changing back. Eventually, Jack freed the Devil (thanks a lot Jack), under the condition that he would desist pestering Jack for one year and that if Jack happened to die, the Devil would not take his soul. Jack dies, but he is refused into heaven because of his trickery and kept from Hell because of the deal he made. The only thing Jack receives is an ember from Hell, an ironic sympathy gift from the Devil. Jack puts it inside a turnip to light his way as he roams the world. He tries to lure people to their death with the hope of meeting the Devil again. Intrigue and a bit of spook characterize our fascination with the sleepy hollow gourds of all shapes and sizes as we begin to prepare for the month where tradition and lore meet. 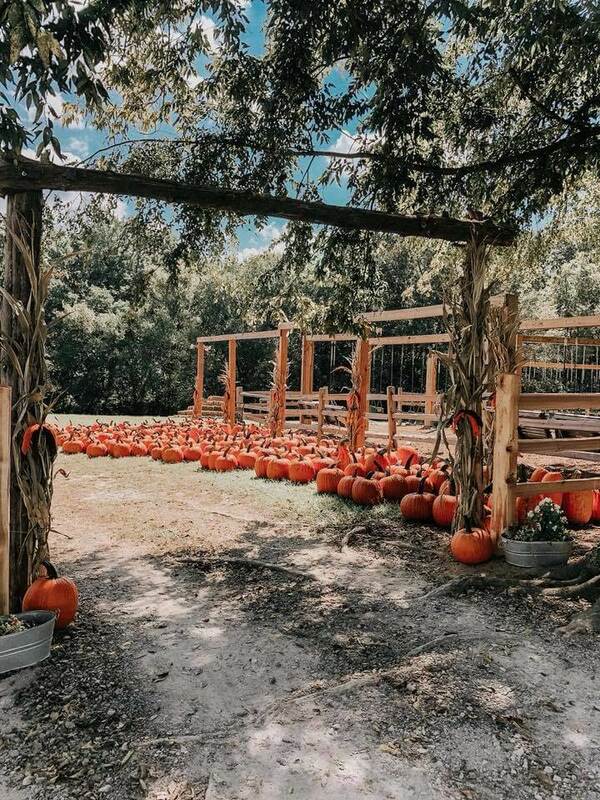 Whether you opt for the classic neighborhood door-to-door or not, Farm Star encourages you to venture further outdoors to farms that offer pumpkins, frights, and other tricky delights. Head to the beautiful North Georgia Mountains to get a taste of fall in the South. 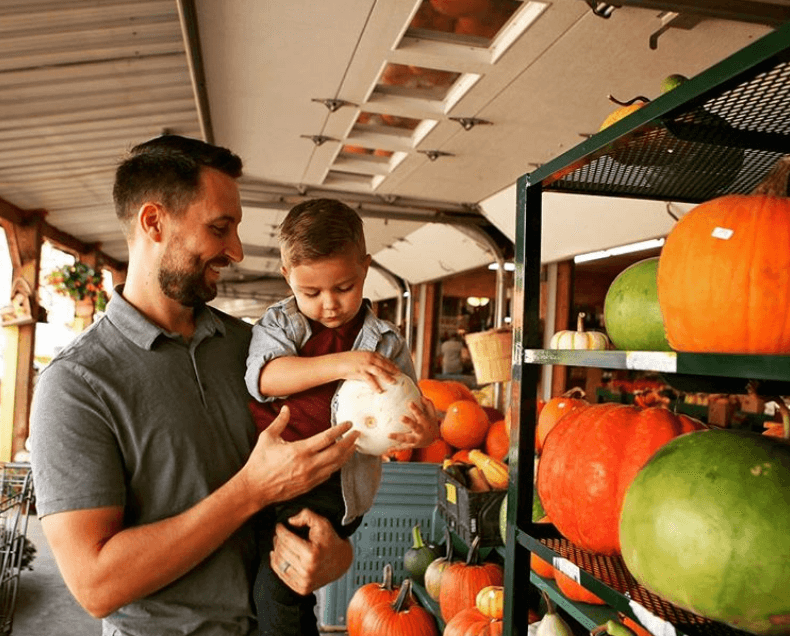 Jaemor Farms has everything you want in a fall farm experience complete with corn maze, pumpkin patch, apple orchards, and shopping at their on-site Produce Market. You'll return home after a refreshing day on the farm fully stocked with homemade jams, jellies, breads, BBQ sauces, and more. Photo courtesy of Boyette Family Farms, Inc. Journey into the mysterious Clayton, NC and join in on the Halloween spirit at Boyette Family Farms! 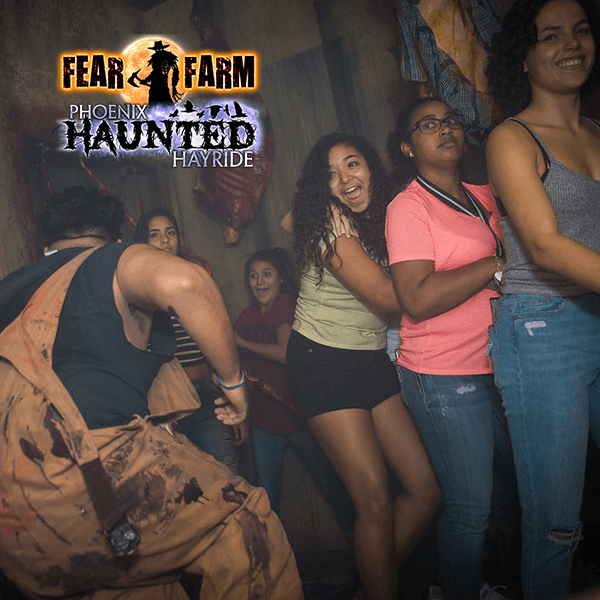 During the daytime, you’ll be able to pick pumpkins, play ball toss, milk cows, and much more, but at night - the ZOMBIES come out to play! Clayton Fear Farm transforms into a haunted scream park, where you can experience attractions, like the terrifying Fear Farm Academy, the horrific Slaughterhouse meat-processing plant, a dive into a dark abyss, known as the Black Hole, and much more. 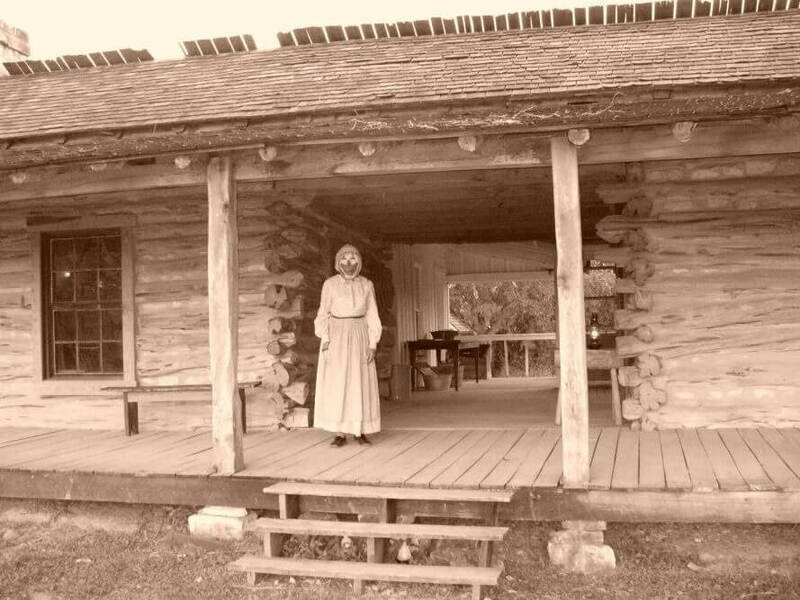 Since 1996 Cedar Hill Farm has entertained and scared thousands of people on our “Haunted Hayride” and “Trail of Terror.” New thrills are added and changes are made to bring a new and better experience every year. Two unique haunted attractions were added in 2013: the Haunted Barn “Sensturbia” and the “Mid-South Zombie Apocalypse”. Family friendly activities include the ” Flashlight Corn Maize & Hayride” along with the Pumpkin Patch and other farm activities. The goal at Copper Creek Farm is for you to find all the things you came for – laughter, joy, love, and happiness! 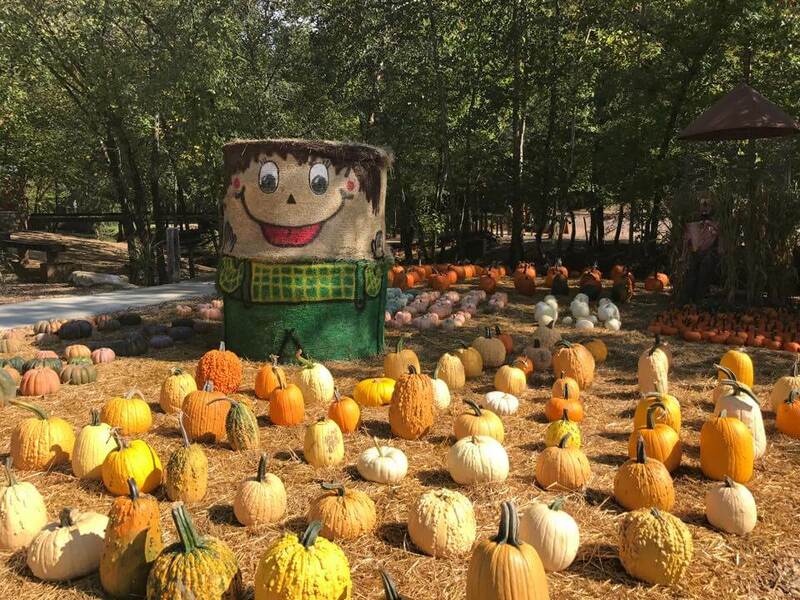 This north Georgia farm has a large variety of activities from pig races and pony rides to wagon rides and a monster pumpkin canon! This farm also has two corn mazes—one for the little kids and one for the big kids! If you're into something spooky, check out the Haunted Corn Maze. Celebrating 50 years in 2014, the Jackson family invites you to celebrate their harvest! The month of October brings lots of excitement to the Orchard. With Halloween approaching, you’ll find family fun every weekend for the five weekends before Halloween. 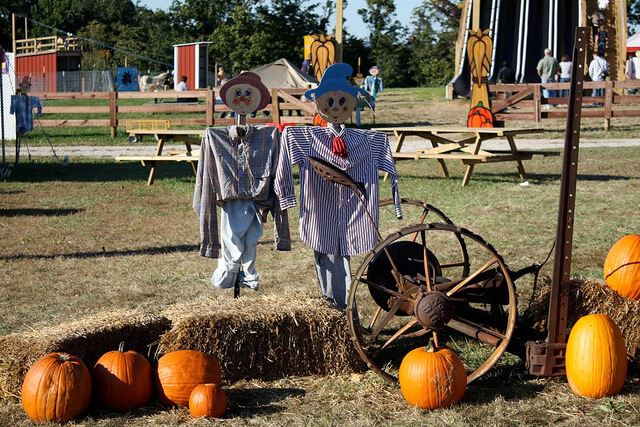 That means Wagon Rides to the Pumpkin Patch and Corn Maze, Pick-Your-Own Pumpkins, Pick-Your-Own Apples, Petting Zoo, Pony Rides, Straw Castle, Face & Hair Painting, Moonwalk, Sand Art, Woodcrafts, The Goat Ranch, and The Cider Slider, our Children’s Slide. Not to mention all the Great Food including our Apple BBQ! Did we mention Caramel Apples? 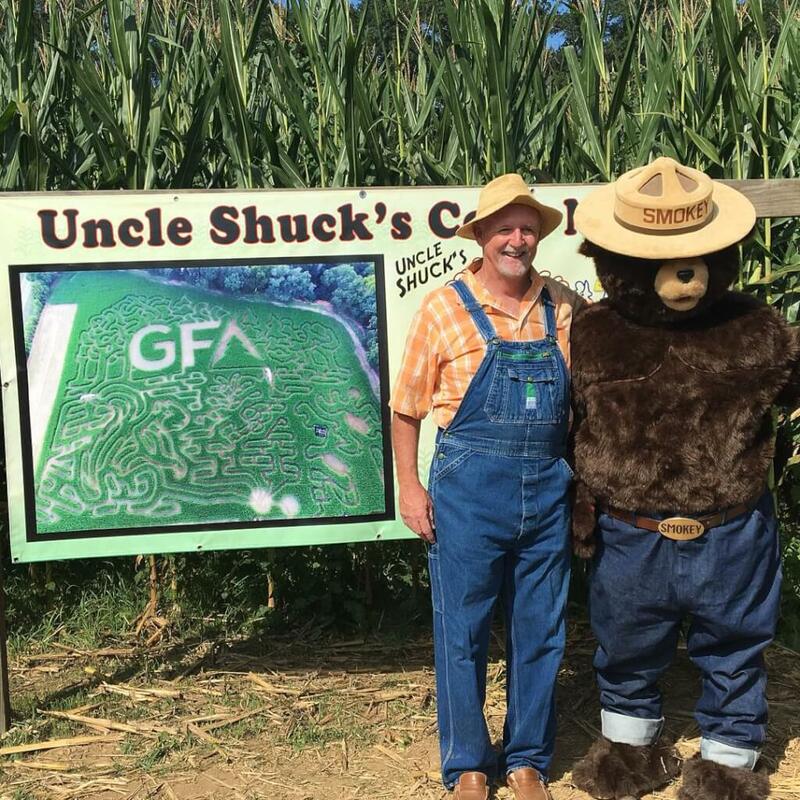 Come on down to Uncle Shuck's for Fall fun like hayrides, campfires, corn maze, pumpkin patch, and more! 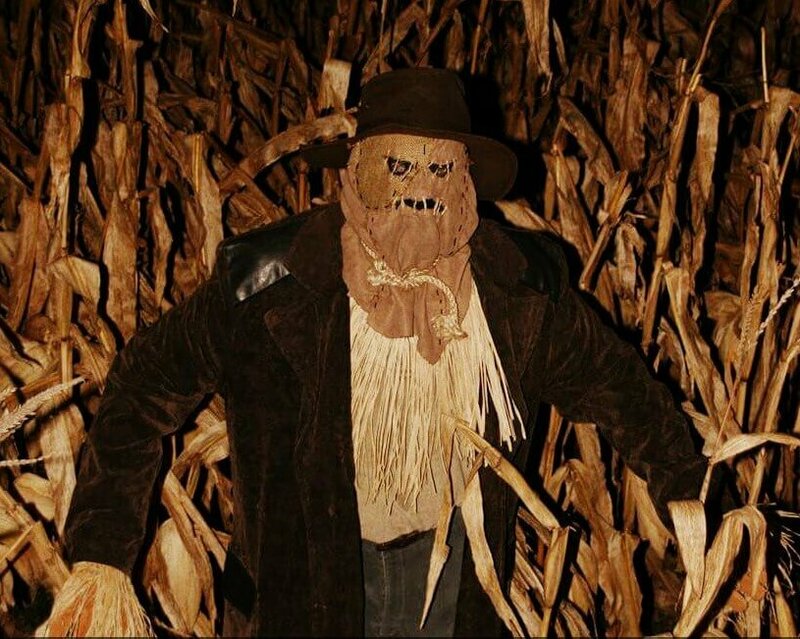 Even you're into the spooky side of Fall, head to Uncle Shuck's to experience the Haunted Maze. If you're hungry they even have a large menu of items to snack on so you can spend the whole day having fun at Uncle Shuck's. 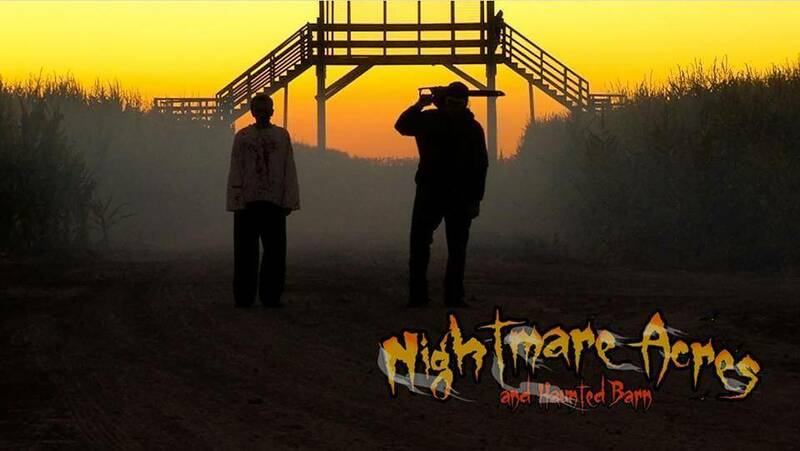 Head over to this Haunted Farm and hop on the blood-curdling Zombie Hunt - but watch out! Throughout the haunted village, you’ll find herds of post-apocalyptic creatures, longing for human flesh. Armed with paintball guns, you’ll (hopefully) be able to fend off this infestation of the living dead! Does this not just sum it up in one word - FEAR? As if one haunted house isn't enough, this farm has FIVE! Just to keep you afraid all night long! Choose from ChainSaw Mayhem, the UNDEAD, the Mouth of Madness and more. For the real die-hards, we dare you to then go into the largest corn maze in Phoenix, Arizona. We don't think you could pay us enough! We're scared already. A tradition in Austin, come to Spooky Town and visit fortune tellers and a must-see history show at all ages. Visit Sprinkle Corner Village, where guests will have the chance to venture through the mysterious, haunted trail - but at the hands of the legendary creatures of the night. Test your nerves and experience a night of shocks and surprises, which will keep you trembling at every turn! Be ready to scream! 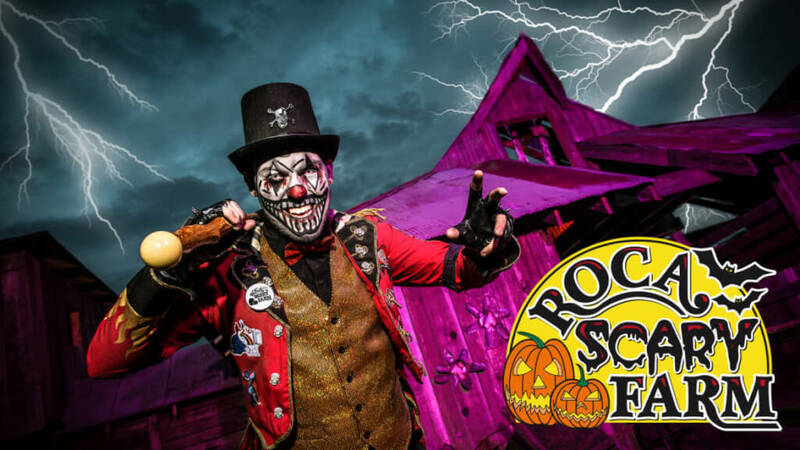 Experience Halloween like nowhere else in Texas! During the day, Roca Berry Farm offers up SO many family-friendly activities, ranging from Bunnyville and Candyland to the Duck Races and Corn Corral. BUT when the sun sets, this Nebraska estate morphs into Roca Scary Farm! Do you think you can make it through The Psycho Path? What about the Zombie Hunt? You SURELY won’t last at this haunted manor! These farms offer year round fun that is enjoyable for everyone. Live music, farm fresh produce and corn mazes are some of the many activities offered! They are known for their Halloween offerings! Are you willing to go to Nightmare Acres? We hope you’ll be brave enough, because this Utah farm is where you go to have nightmares, NOT sweet dreams! Get lost in the vast, bone-chilling maze with your friends and family, but BEWARE - even the most spirited of adventurers rarely make it through.